It’s hard to succeed in school when you miss a lot of classroom time. Students who are suspended out of school or expelled are as much as 10 times more likely to drop out of high school. Students who are excluded from school are also more likely to have contact with the criminal justice system. This effect is so pronounced and widespread that it has a name: the school to prison pipeline. In Washington, special education students are among the most at risk of being funneled into the school to prison pipeline because schools in our state suspend or expel them at a rate more than double the rate of discipline for their non-special education peers. Often, these students are punished for behaviors that are manifestations of their disabilities— conditions they cannot control. It’s not just formal discipline; students are pushed out of school in insidious ways. Schools may persuade parents of special education students to agree to shortened school days for their children, depriving them of vital classroom instruction. Students with disabilities may spend a portion of a school day outside of class, in a hallway or another classroom, where they don’t participate in lessons. And parents of students with disabilities may get frequent calls to pick up their child from school as early as the first hour of the school day. Over the past year, the ACLU of Washington has collected stories from dozens of parents who say their children were punished, excluded from the classroom, and pushed out of public schools in Washington for behaviors stemming from the child’s disability. Here are some of the stories they shared with us. Ten-year-old Tory moved from Georgia and started in the Clover Park School District in June 2015. While Tory was once excited to go to a school with supportive teachers, now he is anxious about school as a place where he will be mistreated by teachers and humiliated in front of his peers. Tory has had speech issues since he was young, which were compounded by a traumatic brain injury (TBI) in a 2014 car accident. Since then, Tory has suffered from anomia, which means he has trouble recalling words. Sometimes he needs to describe things, instead of using their names. Tory has serious food allergies that limit what he can eat and be exposed to. 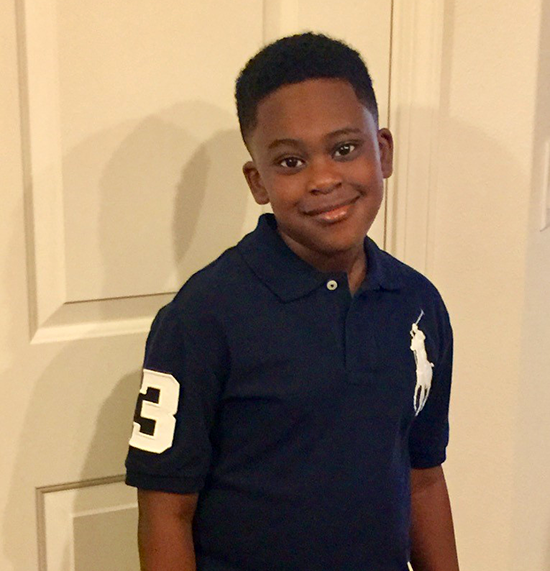 In Georgia, Tory's parents and his school crafted an individualized education plan (IEP) to help him thrive, including meeting with a speech language pathologist, and extended schooling during the summer. Tory’s teacher did not know about his IEP, and his mother Amber had to make copies to distribute. He did not meet with a speech language pathologist until three months after joining the school. Amber says her son and his IEP are not taken seriously because his disability is invisible and he still gets good grades. Tory was placed in the gifted class, but gets in trouble because he cannot give concise answers to questions due to his TBI and anomia. The school refuses to follow his IEP. For example, he has a hard time retaining information that is explained verbally, so his accommodation requires that all directions must be written and confirmed that Tory understands. His teacher does not do this. Instead Tory is told to "figure it out." When Tory is unable to do his work or does it incorrectly, he is just told to redo it. When Tory misses class for doctor's appointments, he is not provided make-up work and receives zeros on his assignments. When Tory asks students not to sit near him when they have lunches that may cause an allergic reaction, teachers treat Tory as if he is being mean to other students, rather than protecting himself. When asked by staff why he wasn't at recess, Tory had trouble explaining that he was not cleared by his doctor for any physical activity, and instead said "I am supposed to be here." Tory was forced to run the track in November, without a jacket, crying and asking to stop. The cold air exacerbated his asthma; Tory arrived for his next class late, with a pounding migraine. The school called Tory's dad to pick him up early. Three months after being cleared for recess, Tory was not allowed to participate because "they were training the staff." As far as Amber can tell, no training has happened. Tory feels like an outsider. Tory has been excluded from everyday tasks at school, such as group projects. Unlike other students, Tory has been made to do and present large projects on his own. "Tory is not treated like a person, instead he is treated like a liability," Amber says. Tory fears he will continue to be stigmatized by teachers and students. He has long wanted to be an engineer. Now he asks his mother what happens to people who do not go to college. The issues have affected everyone in his home: his father has to miss important training time, his two brothers are now afraid of school, and his mother cannot work because she constantly has to pick him up from school. As Amber says, "Educational rights have already been fought for, so why are we still having to fight?" The Arc of King County: Discipline rules change, but will it matter?